We are extremely happy to announce our partnership with Quora Ads. Using which you can see the conversions happened over a period in visually attractive charts and graphs. Also, create your own metrics and invite your clients to see them in their portal. People come to Quora to ask questions and read insightful answers. This includes people looking for reliable information about a company, products, competitors and industry. 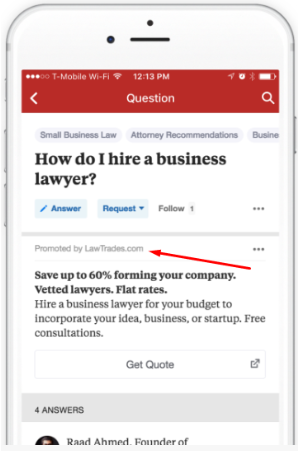 Quora Ads is to advertise on Quora and to influence people during the consideration phase of their purchase process. 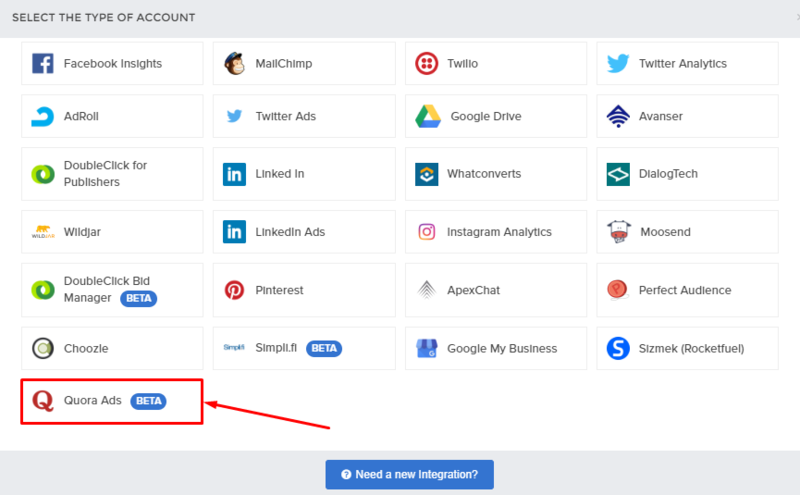 In Select the type of account modal, choose Quora Ads. Choose Quora Ads in the data source. 1.In Time dimension, we can ONLY fetch the data spanning 100 days between the start date and the end date. 2. In the Overview widget, if any non numeric filters like Campaigns, Ads, Ad sets are selected, then you will get the data spanning 100 days between the start date and end date. 3. In Time dimension and Overview widget, you can apply only 5 non-numeric filters of the same type. 4. Map widget is unavailable in Reports and Dashboards. 5. The Map widget is unavailable. In Quora Ads Reporting, we have two attribution windows in the advanced tab.